Recognized by most experts in the field as the future of biology, Systems Biology seeks to understand how complex living systems interact with each other so that we can diagnose and treat disorders such as cancer. While past biological research has taught us much about how these individual biological units are structured and function, future biology will be focused on understanding how these units interact. 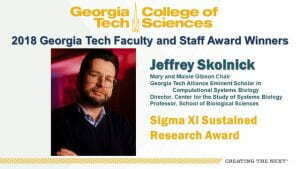 Georgia Tech has named Jeffrey Skolnick the recipient of the 2018 Sigma Xi Sustained Research Award. 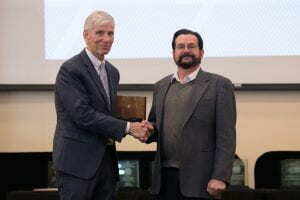 The award recognizes Skolnick’s exceptional sustained imagination and productivity in the fields of systems biology, computational biology, bioinformatics, cancer metabolomics, protein structure prediction and evolution, drug design, and simulations of cellular processes.